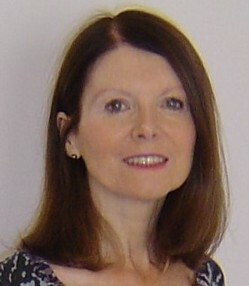 I am a fully qualified psychotherapist and have extensive experience. I offer help to couples and individuals with relationship and other issues. I appreciate that some clients want short term solution focused approaches to their difficulties while others want to reflect at a deeper level and are looking for longer term therapy. The impact of trust issues, communication difficulties, sexual concerns, decision making and PTSD can understandably be difficult to deal with and can provoke stress, anxiety or depression. Sometimes people can’t identify the root of their concerns but struggle with their feelings. As an accredited ‘integrative’ therapist I offer a range of approaches including psychodynamic, CBT, and other ‘Humanistic’ modalities, but importantly, I respond to the unique circumstances of each individual. I also offer Rewind therapy, amongst others, for PTSD because sometimes it can be too distressing to disclose the circumstances of a traumatic experience. Rewind promotes closure without disclosure. Over the years I have gathered ‘real world’ experience having worked in the UK and abroad in corporate, government, university and NHS hospital environments in addition to counselling agencies and in my private practice. I frequently help people deal with workplace dilemmas. On a practical level, there is free parking at my private practice address and I am registered with several health insurance providers so you may be able to obtain financial help with your therapy charges.